Wilfredo Seda is a genuinely inspirational figure. His career has literally made history in bringing Latin radio and TV programming into a historically white and conservative region of the country. He is a man who needs more than a blog post, he needs a biographer. Seda has been the host of Jazzarama on 91.3 WLCH since 2013. His love of music and of Latin jazz in particular makes him a natural for the station and a boon for the radio waves of Lancaster country. The county has three Spanish-language radio stations including 1390 WLAN-AM and 1580 WVZN-AM. But it is his station, WLCH that speaks most to the local Hispanic community. In Jazz and in Lancaster his is a name people know. But his career was even more storied than you might guess. 1. How did you first get into radio? I was one of the first to have a Latin radio show in central Pennsylvania... Part of it is growing up in new York. You had Latin Music, you had Jazz, you had different genres that were a part of it. Now what I do is a program at a 91.3 WLCH in central Pennsylvania that's called "Jazzarama" that embraces Jazz and Latin Jazz. 2: What station was that first show on? 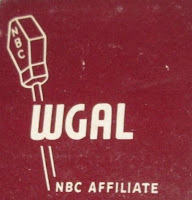 3: Was WGAL your First Radio gig? Yeah. I went to school for communications at Queens College, University of New York. 4. Were you involved in their College radio station, WQMC? I didn't even think about that at the time. It wasn't until I came to Pennsylvania. It was totally alien. 5. 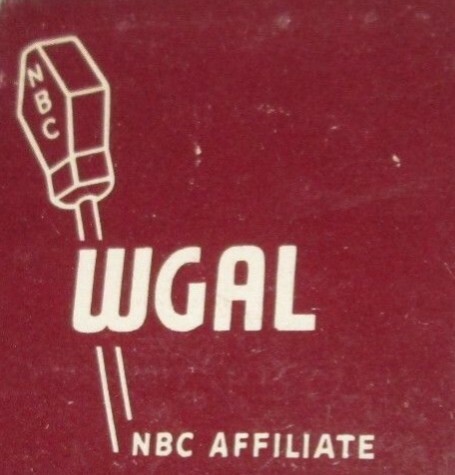 So where did you go after WGAL? I went to work for the local public Broadcaster which was WITF. I was with them at the TV station from 1980 to about 1983, then from '83 I did some work on their public radio station in Spanish as well... until about '84. During the interim I also did some work with NPR. They used to do a national Spanish language program called “Enfoque Nacional” [National Focus.] On the East Coast I used to contribute pieces; it was like a weekly news magazine. 6. Can you tell me about your interest in Latin jazz? You have to remember that Latin music, if you're a New Yorker... you have Tito Puete, Tito Rodriguez, Machito. Those genres that combine with jazz were embraced by the Latino community and evolved into what we now call Salsa which encompasses so many genres. When my program first started Sundays 8:00 to 10:00 PM you would ride along on a summer night and the music was blaring all over the neighborhood. That was the real connection. Music has been woven into my life. But not only Latino music... I'm 65. I was at Woodstock. Growing up, rock was something important in my life. When Carlos Santana was on stage it flipped me out because that was my music connecting with rock music. That was part of an evolution that Carlos Santana brought to the rock scene. The percussion and his guitar playing —that was me. I am happy to say I was one of the few Latinos to be at Woodstock! 7. When I listen to your current show “Jazzarama” I always hear a wide variety of styles. Is that your personal taste or just Latin jazz as a genre? When you hear my program you hear jazz and Latin jazz come together. Latin jazz in the late 50s and 60s was Caribbean rhythms mixing with jazz. That has evolved, now it's rhythms from all over the world. The other thing is that if you're a Latino, you can play straight up jazz. Is that Latino jazz or isn't it? That's what I try to embrace. It's all music. It can grab you from different aspects... I expose folks to that on my program. Also, I always try to do a segment of my show on vocals: in English, in Spanish in Portuguese. But with a construction of jazz. Todo toyo. So I embrace all of that, not only instrumental but vocals. 8. Lancaster now has three different full-time Spanish Language stations and it all started with your one program. What's next? Now WLCH has the FCC approval to move into Reading. We are working out details. As you know we have to be very precise. We have to work out the logistics. We're also working on a TV piece through an arrangement with Comcast Lancaster. We simulcast some of our programming on TV particularly our morning program “Cafe Con leche.” We're looking at similar arrangements in Reading. 9. Philadelphia didn't have any Spanish programming on the FM dial until 2006 [104.5 WUBA] Why do you think Lancaster more diverse than Philly? The thing about Philadelphia is just business. Years ago radio stations had little news departments they don’t do that anymore. I Heart Radio [formerly Clear Channel] owns god knows how many stations… nothing is local. That's a problem not only here in central Pennsylvania but across the country. I believe in public radio; public radio that responds to the needs and concerns of the community. We have a station, the local PBS station WITF that I worked for years ago, that airs NPR programs. It's fine, I like NPR programming. But what's happening on a local basis? How does the local community accesses that and have beyond a one-minute interview to be able to talk about local issues? We've [WLCH] become it. People can come and be on the morning program, whether you speak English or not, on what out local issues beyond the one-minute; for 20, 25 minutes. That's what we've become for Latinos and non-Latinos. That we've really become the broadcasting entity for the community period. 11. 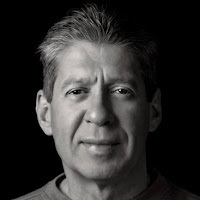 Are you the same Wilfredo Seda that ran for mayor of Reading, PA in 1995? Yes I am. I went to Reading and I was very much part of the civic leadership there and I was part of a charter change effort. The city government was administered by an elected council, which was at the same time the executive branch. But those people had no expertise, necessarily, in the departments that they were running. Anyway, there were enough folks that decided this wasn't working out. We elected a charter change commission, which I was a part of, and then decided to change the structure of the government and then had the voters approve it. I chaired that effort. Then I decided to run for mayor under that new charter. I came in second. I got that juice out of me. 12. I would vote for you. Thank you. I just love to share my experience. That's all I can do.